My reading habits were pretty solid in August. I also got some more books to review, so I'm done picking my own for a while. In August, I finished two books that I really wanted to read on my own (rounding out the Madd Addam trilogy by Margaret Atwood) and two books that were published on September 1, for review. 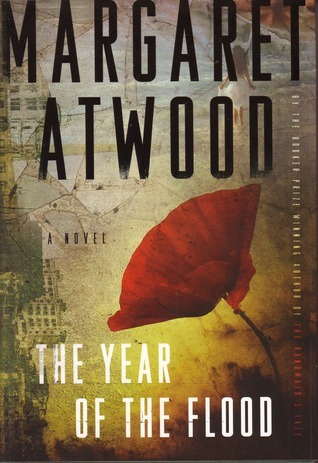 The first book I finished in August was The Year of the Flood by Margaret Atwood. This was the second book in the MaddAddam trilogy. I finished Oryx & Crake (the first book in the trilogy) in July. All three books were about some of the same events, from different perspectives. The first one ended with a bit of a cliffhanger, that really isn't addressed again til the viewpoint of the third book. I love dystopian fiction (or as Margaret Atwood calls it, speculative fiction), and Margaret Atwood is a phenomenally imaginative story-teller. Of course I loved both The Year of the Flood and MaddAddam (my second book read in August, and the third in the trilogy). I would recommend the trilogy to fans of Margaret Atwood's fiction, or dystopian fiction in general. 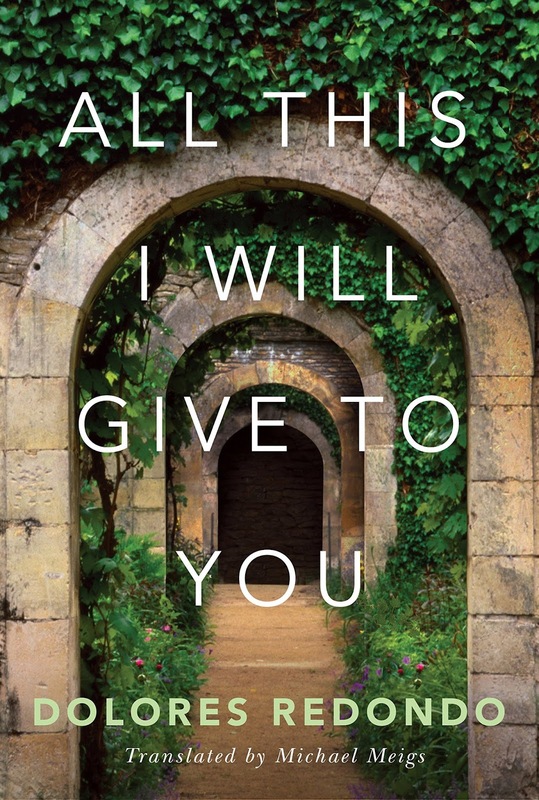 The third book I finished in August was All This I Will Give to You by Dolores Redondo. This is a big book, and I became very engrossed in the characters and the mystery they were trying to solve. Manuel's husband of more than a decade dies miles from where he's supposed to be, and when Manuel goes to identify the body, he finds the family his husband's mother, siblings, in-laws, and lots of drama. Instead of getting closure and moving on, Manuel has a lot of questions he wants answers to first. Check out my full review on Books I Think You Should Read. 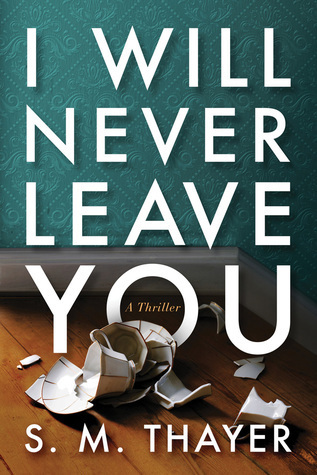 The last book I finished in August was I Will Never Leave You by S.M. Thayer. While it was labeled as a thriller, I enjoyed it more as a light read. I found the characters quirky and amusing, but not very relatable. A super rich woman finds out her husband has a girlfriend and a baby on the way. The girlfriend is hoping to turn her life completely around with the rich new man in her life, and the wife is hoping to eliminate the girlfriend and finally have the baby of her dreams. What a convoluted situation! My full review is on Books I Think You Should Read. As you know, September is back to school and work for me, but I'm really trying to continue carving out a little 'me' time for reading. I've got one book read and reviewed so far, and hopefully I'll make progress on a few more. Wish me luck! Balancing reading in a busy life is hard to do. Kudos to you. Thanks for the links! I'll have to check out those Margaret Atwood books. 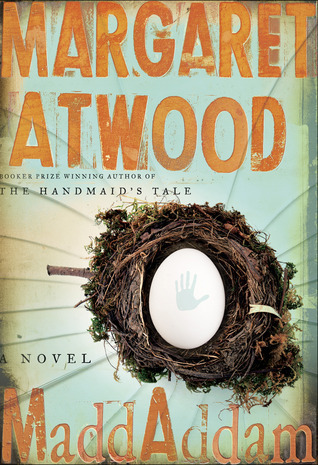 Margaret Atwood is indeed one of the best when it comes to dystopian fiction. Love her creations!